Who doesn’t love those spinning black platters, chiefly the type that matter? 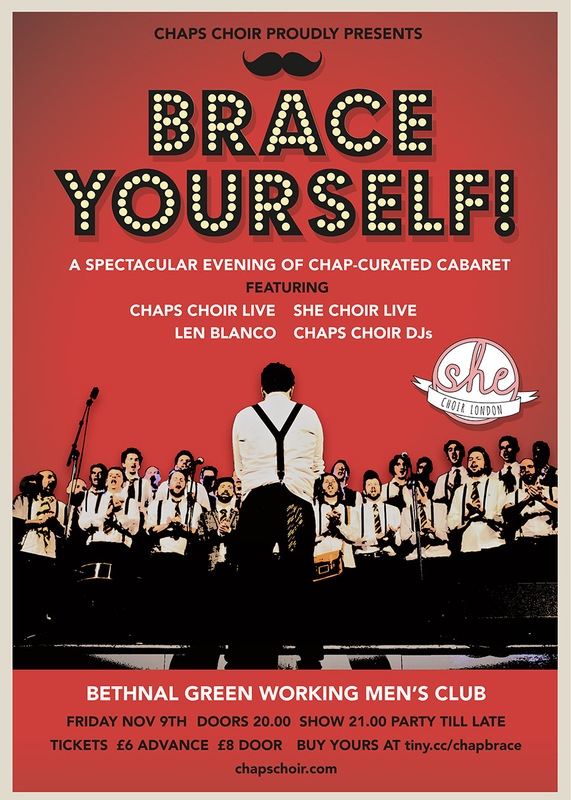 Yes, I’ll be playing a rarer-than-hens-teeth DJ set at ‘Brace Yourself!’ – a night of singing and cabaret and dancing hosted by my good compadres in ChapsChoir. 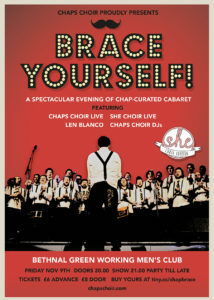 I’ll be among the merry throng singing some fun songs in the ace Bethnal Green WMC, along with SHE Choir, Len Blanco and others. Then self and comrade Rob will be playing an all vinyl 7″ set of daft disco, synthpop and various rug-cutting favourites. Absolutely no blow-wave or tech-house, but you’d guessed that 🙂 .